Tonight I’d like to introduce you to a precious piece of my collection, namely the original version of the famous adventure game The Secret of Monkey Island by Lucasfilm Games! This is one of my all-time favorite games EVER and I still have a go at it from time to time. Personally I get the best experience from the Amiga version, although the Special Edition release for the PC (you can get it on Steam) is pretty neat. 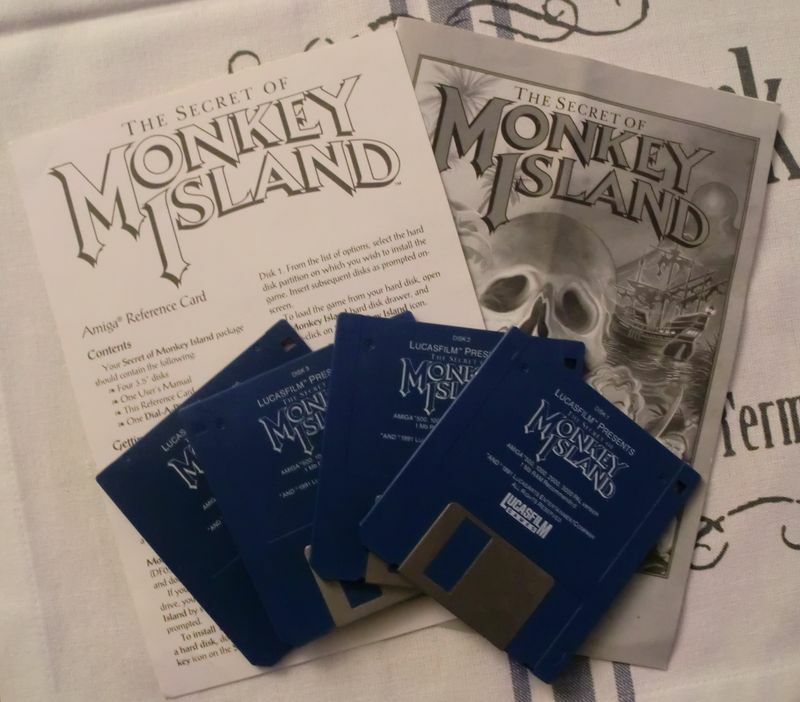 If you are not familiar with the Monkey Island series, please have a look here. The edition I’m presenting here is the one for the Amiga, complete with papers, copy-protection, box and four floppy disks. I also own the Atari ST version of the game. Here’s a few pics of the game in all its glory! I’m proud to say that the game is in very good condition and that the floppies still works. If I want to play it I run it from HD to save the disks from wear and tear. I also store them in a separate disk box for dust protection. Can’t be too careful! I got a lot of good memories from playing this game back in the days. Anyone else out there who are fans of the Monkey Island series? Previous RetroLayer: Play Retro Games in Your Browser! 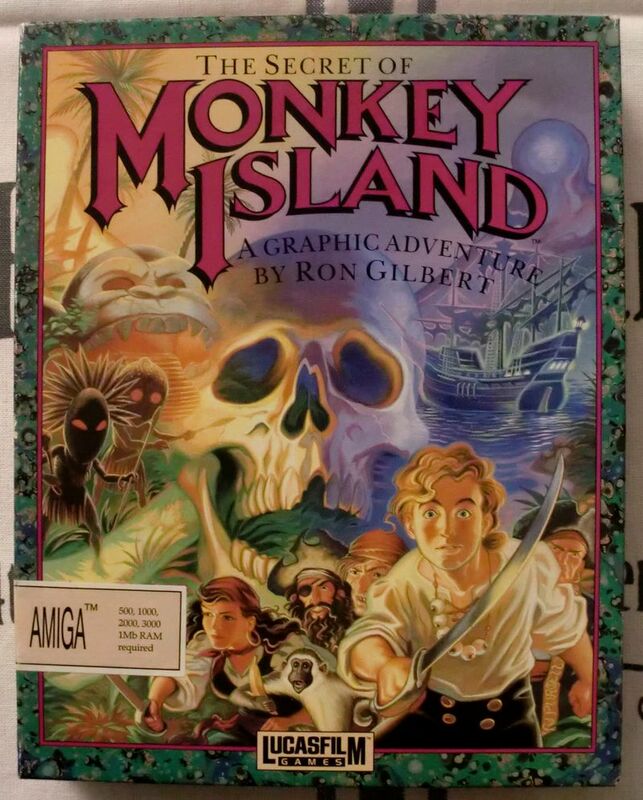 Did you know that the guy who wrote Monkey Island is the same guy who wrote the Pirates Of The Caribbean films? Nice! 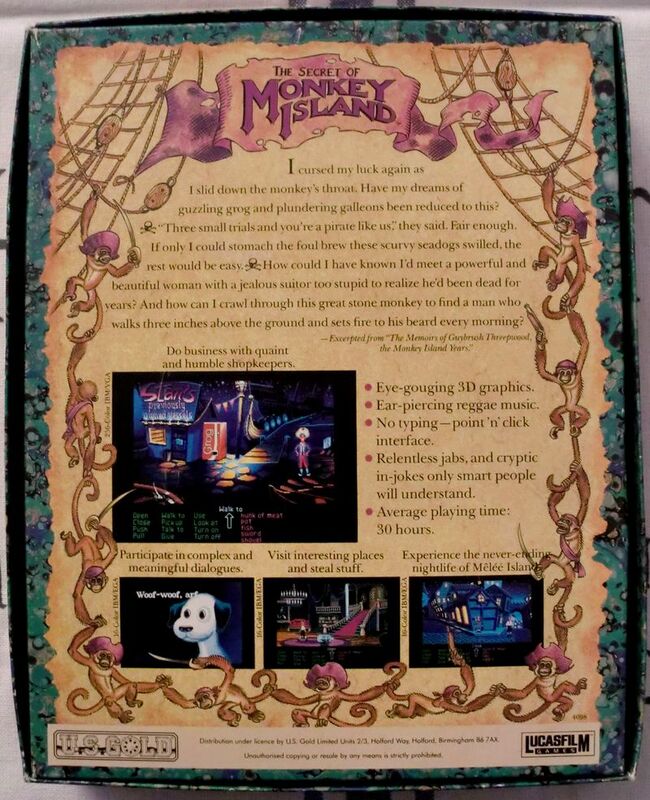 I absolutely loved Monkey Island 1 and 2 (didn’t the second one have something like 12 floppies?) – great humour, graphics and gameplay. I never played another point-and-click adventure that quite lived up to those two games. Not so fussed about the various sequels. 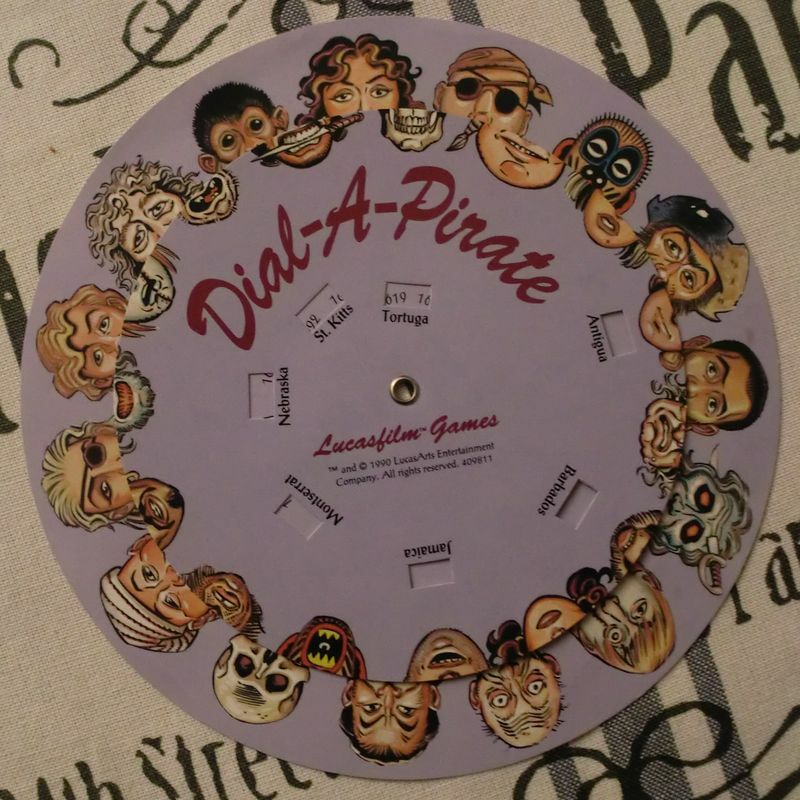 Yes, Monkey Island 2 came on eleven disks, but you needed a save game disk as well, so that makes it 12. 😉 Best to play it from HD, but not many I knew had such a device back then. I had a HD, was so nice not having disk swap all the time! 200mb, it was a 3.5in. I didn’t even come close to filling it.